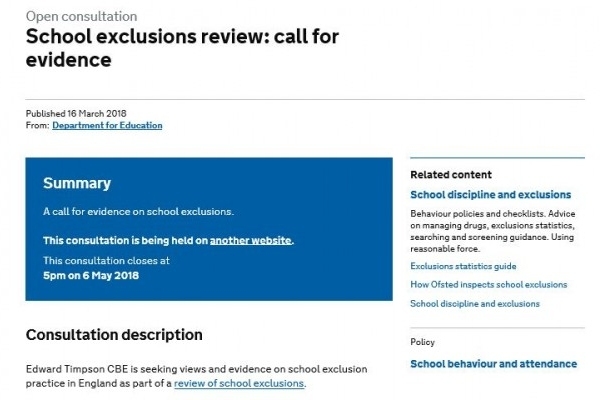 Edward Timpson CBE is seeking views and evidence on school exclusion practice in England as part of a review of school exclusions. School exclusion is when headteachers exclude pupils for a fixed period or permanently for disciplinary reasons. This consultation closes at 5pm on 6 May 2018.